I have totally been hit with the stenciling bug. I find myself looking for things to stencil. I also have Spring fever - there is no hope for me. 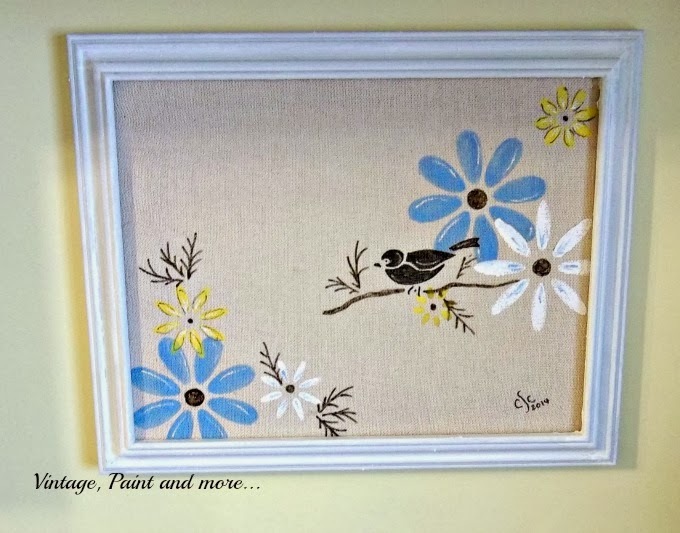 this cute little stenciled canvas. 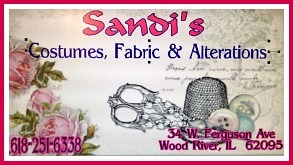 to come up with something to craft for Spring. had no idea what I was going to do with it. down to small about 1 1/2 inches in diameter. picking up anything that needed a coat of white paint. The frame in the front there had a picture in it when I bought it at the thrift store. It was in perfect condition. So I decided to use my new stencil and make some art on this canvas. 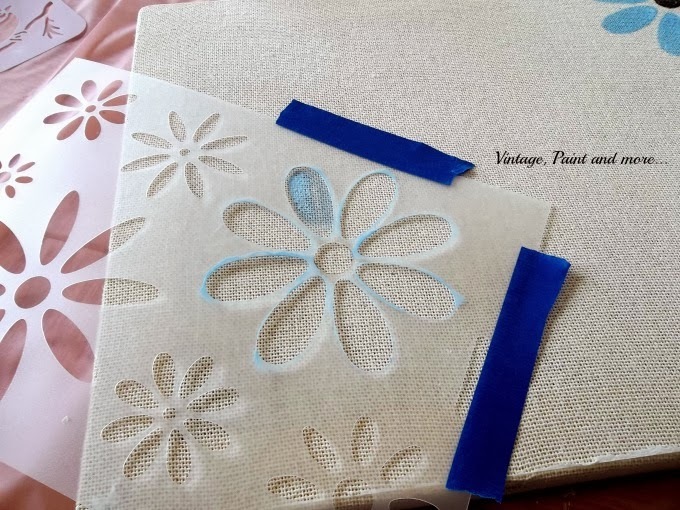 Just tape the stencil you want to use to the canvas and paint. I used craft paint and a regular artist brush. using only a little paint on the brush, dab in the stencil area. And before long you will have a really cute piece of art. The bird is the stencil I used for the china plate I stenciled. I just added it in amongst the flowers. I also added a few highlights to the stencil so it wouldn't look so flat. So Springy and cute . I think it will be perfect hanging in the little area over my kitchen sink. a few that aren't there. So, I am sure you will be seeing this little stencil turning up again. How about you have you been hit with Spring fever yet? What are you doing to get ready for it? A little bit of handmade Spring! I love it. 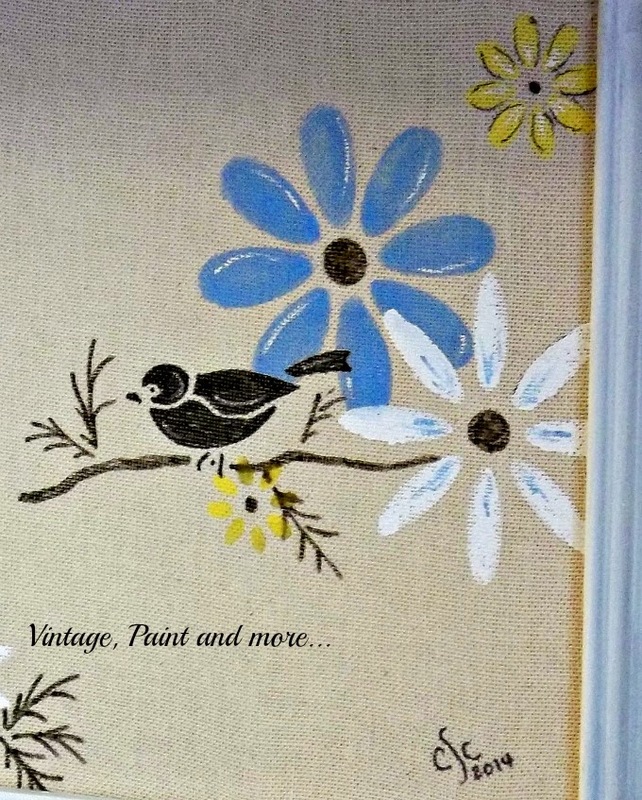 It's so fun to stencil and the flowers and the little bird is so sweet! Easy way to bring Spring into your home. Thanks for sharing this DIY on your #simplybebetsy gallery. I love the colors you picked. It is so pretty! I love your stenciled art work. Adorable and so fun for spring! Thanks so much for linking up at Thursday STYLE! The highlights really make the stencil pop. What a cute board! Nice job! Very cute and springy! Thanks for sharing! Sweet! Last time I tried stenciling, it wound up to be a big mess. This project makes me think I would try it again. 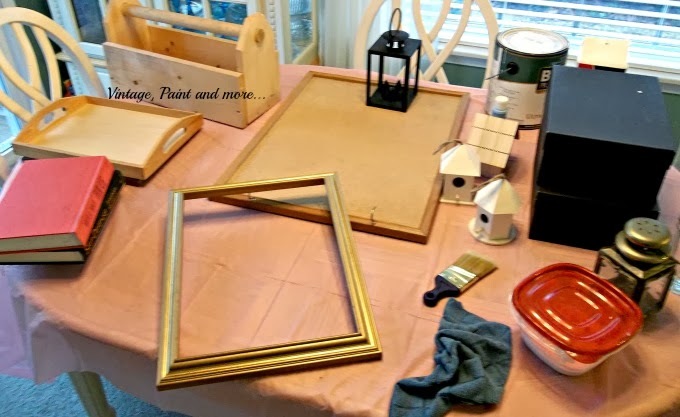 Such a clever idea for a simple way to make art! Thanks for sharing at Fridays Unfolded! so totally fab! I love this, would do my own but doubt it would be as lovely! Very sweet and perfect for spring! Cute as can be!! Thanks for sharing at TTF! So cute!!! 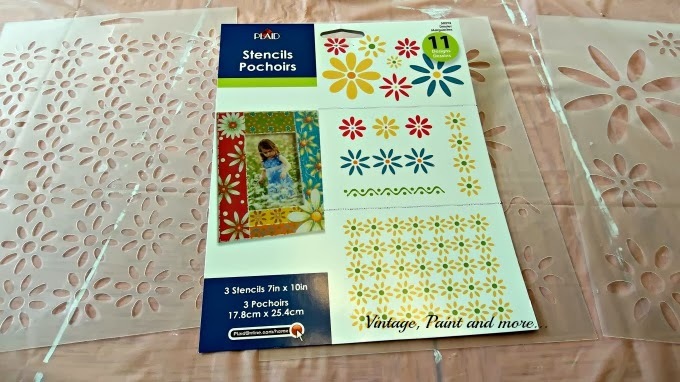 I sure hope my Walmart stocks those stencils cause I'm definitely picking one up!! Very cute Cathy! I really enjoy stenciling also. Great color combination. Thanks for sharing with SYC. That's a great idea. Thanks for sharing. I will feature this tomorrow at Home Sweet Home! Thanks for joining! 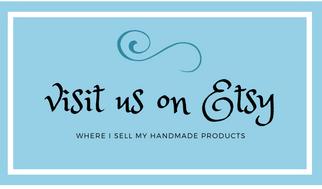 Hi Cathy, this came out so pretty and it looks pretty easy. I used to paint as a teenager but this I think I could create. TFS and have a nice weekend.